First of all, this whole idea we got from Ianto Evans, stove-master and co-founder of The Cob Cottage Company in Coquille, Oregon. Here is where we begin. This is our mock-up furnace. It’s for an 8″ stove pipe system. 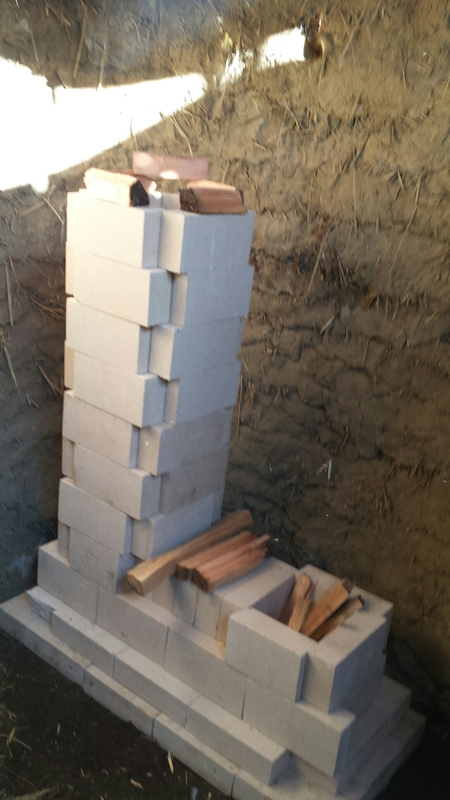 After we mortar it together, we will up-end a 55-gallon steel drum over the stack. It took a couple tries to get it just right. 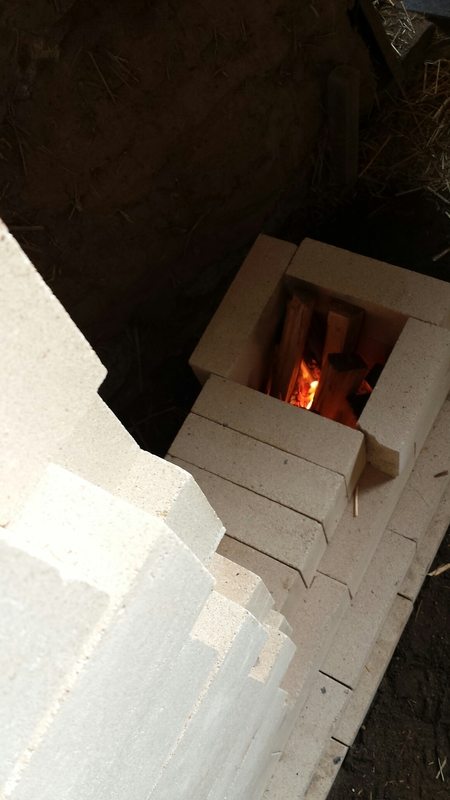 We build a fire in the feed, or fire box and got air is drawn through the J-shaped chamber and up the flue. 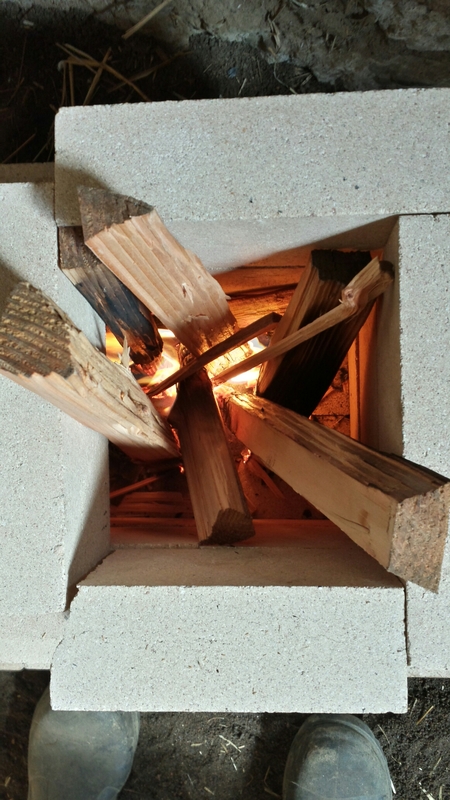 It will meet the barrel and be forced downward through the stove pipe, which will be embedded in “thermal batteries” where the heat will be held and slowly released. Thermal batteries will be formed into benches and a bed. I’m excited to say goodbye to cold sheets. But I get ahead of myself.